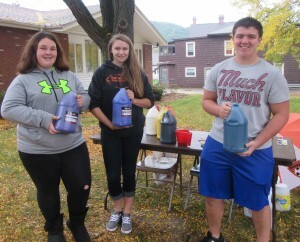 Ready to paint the town on Oct. 13 were Towanda Area High School freshmen (above, from left) Marisha Bennett and Tenley Ferris and junior Braydin Ryck. 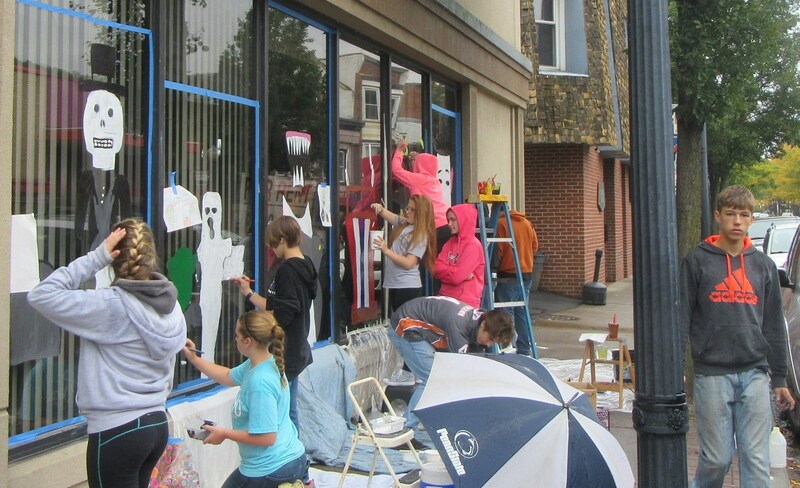 Approximately 160 seventh- through twelfth-grade students from Towanda Area High School got to participate in a decades-old tradition downtown this week by painting windows along Main Street for the Halloween Season. More than 200 drawings were submitted to the art department on the theme of “A Presidential Halloween.” From the many depictions of past presidents and this year’s candidates, 81 were selected for the annual competition. 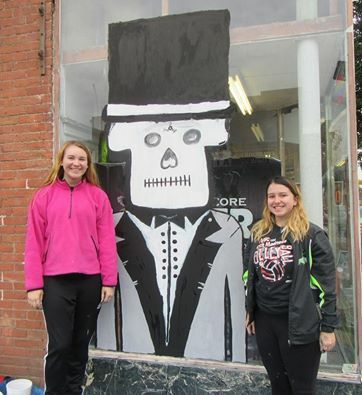 The students got most of the day off school to work on their creations and the opportunity to experience the downtown business and court district. 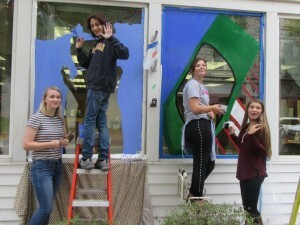 “They get to eat lunch downtown, so we’re supporting the local businesses too” said high school art teach Shvonne Strickland, who related that downtown storefront owners have always been very receptive to the students painting their windows each year. 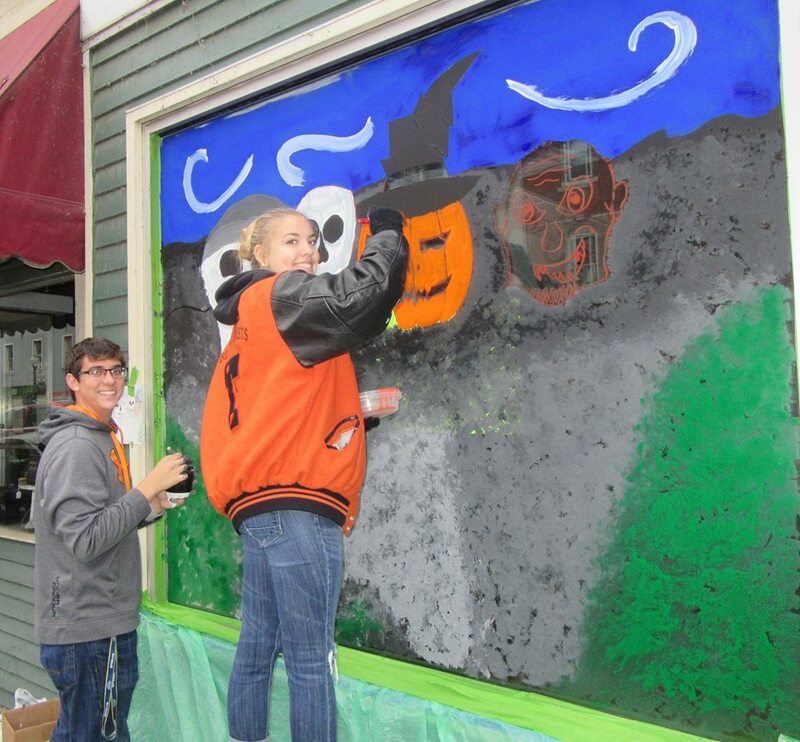 This year, Strickland had to be resourceful to find some windows just off Main Street to fit all of the entries. One block that had always been offered by its owner was undergoing a paintjob of its own. 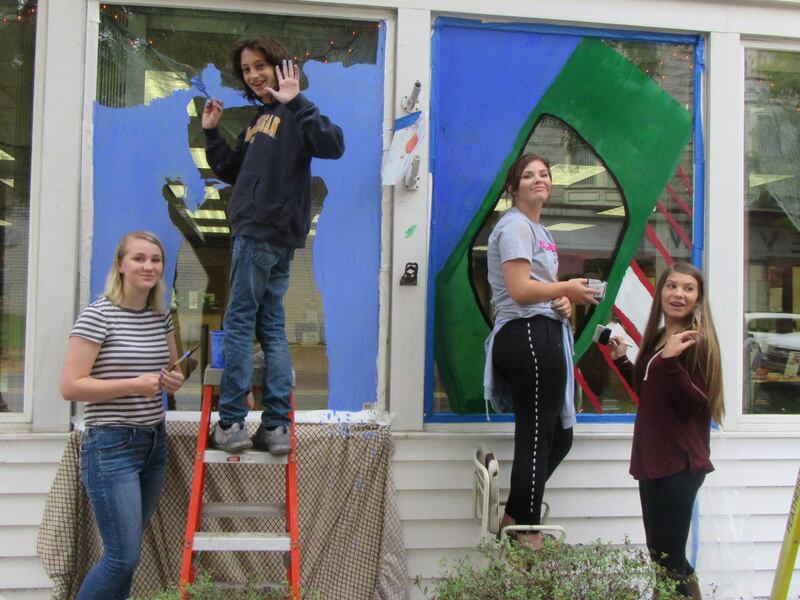 Permission had also been given to paint the windows of the newly build Towanda Terrace, but a special coating on the new windows prevented paint from adhering. School District administrators will judge the renderings next week, and three pairs of students from each grade level will win a small cash prize. 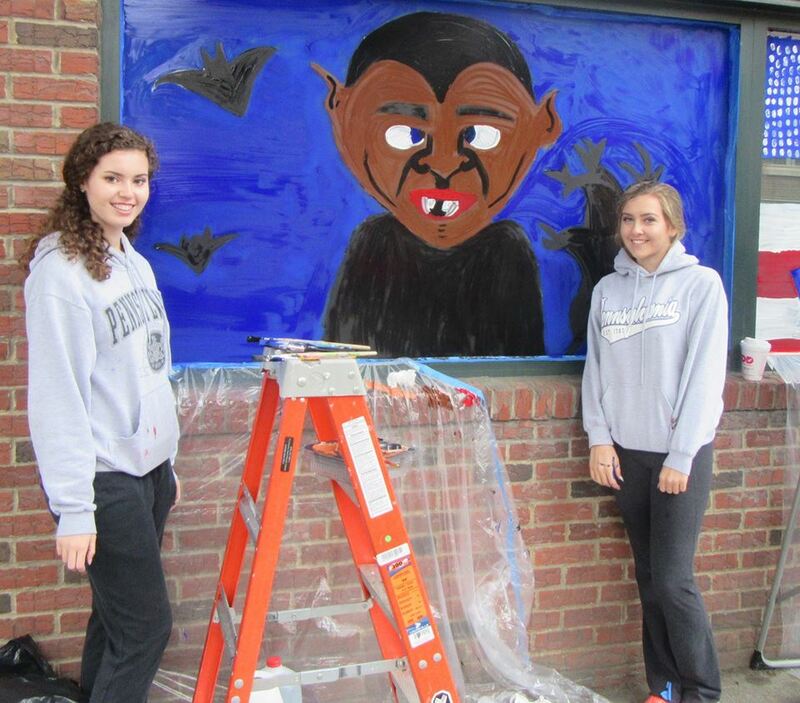 Strickland noted that parents and students are responsible for cleaning the windows, which generally takes place just after Halloween. This year, however, owing to the presidential theme, the artwork can be viewed until after the Nov. 8 elections.